The time has finally come to start looking for your wedding dress! You’ve been dreaming about this moment for years. You’ve seen hundreds of beautiful dresses in movies and on television, and you might feel like you’re confident enough to go straight out and find the right dress at the very first shop. And that would be ideal, of course, but it isn’t always true. 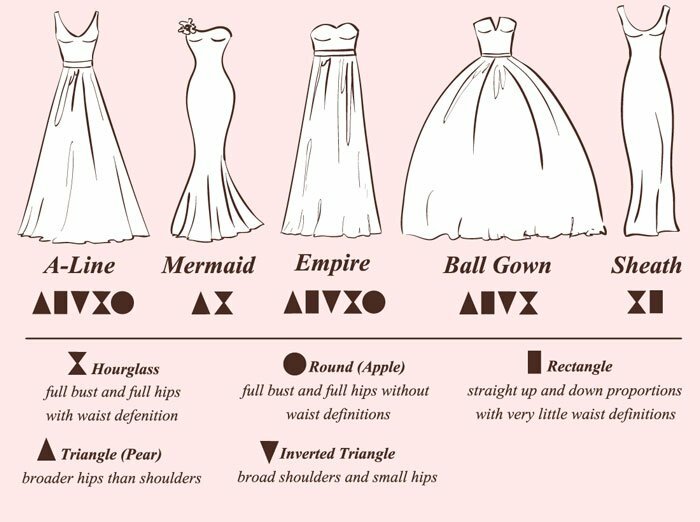 There are some smart tips you should know when it comes to wedding dress shopping that you probably didn’t see in the movies. At De Luxe Banquet Hall, we’ve worked with so many brides and heard so many stories that we feel we’ve got some of the important tips down pat—so don’t go wedding dress shopping before you read this post! Most people don’t know this, but with some bridal shops you can negotiate down the price when you go wedding dress shopping. How low you can go will depend entirely on your negotiating skills, but it is possible. Every shop will be different, and with some you may not be able to negotiate, but it’s worth a shot to try. Before you do, however, it’s important that you do your research to get a good idea on the pricing of the dresses that you’re looking at. If you’re able to find competitive prices online, make sure you bring it up to the sales expert and try and bring them down in price. This is one of the unexpected costs that couples don’t always budget in when they do their wedding planning. Make sure when you’re speaking with the sales expert that you ask about the cost of alterations. Some places will charge a flat fee for everything that needs to be done, and others will charge for every minor change that you make. We can’t stress this enough. When you’re going wedding dress shopping, it’s key that you bring with you proper undergarments. And also be sure to bring a variety of styles. You’re going to be trying on several styles of dresses which will all fit differently. Make sure you have a strapless bra and a few varieties of underwear, as well as a pair of Spanx. Avoid colorful or patterned underwear, too—you don’t want that to show up underneath your dress in any photos. By being prepared with these undergarments, you’ll get a better idea of how the dress will look on the day of the wedding. This is one you’ll probably start doing yourself, but there are some tips in here that couples don’t always recognize right off the bat. Don’t rule out purchasing your dress online. This might automatically make you cringe, but consider finding a dress you love online, visiting the shop that carries it in person to make sure it fits you well, and then purchasing it online if it works on you. Chances are you might find it for cheaper online in a different state. If you do seriously consider buying it online, make sure you’re factoring in the cost of shipping in the price difference. There’s a certain point where the price difference might be negligible and not entirely worth the hassle. We’d also recommend using your online research as a negotiating tool with the sales expert. The more research and knowledge you show, the better chance you have of lowering the price. Doing research beforehand will also have you more settled with a list of styles that you’re looking for. You don’t want to go into the bridal shop without any idea of what you want. Having a good idea will help save you time and allow the sales expert to show you what you’re looking for. Despite doing all that research and narrowing your list down to the specific styles you want, it’s very important that you are open-minded during the wedding dress shopping process. You might think you know exactly what you want, but give the sales experts an opportunity to help you out. It is their job, after all. They might recommend you try on a style that you would never have imagined would look good on you, only to realize that it fits and looks great. Sometimes these clerks know exactly what they’re doing! Creating a budget is going to save you time by helping to narrow down what you’re looking for. Make sure you’ve come up with a realistic budget, and make sure that you’ve also allotted some of it into the alterations that were mentioned above. And if you can only spend $3,000 on a dress, don’t even bother looking at the $12,000 ones. It will only be a waste of your time as well as everyone else’s, and could put a downer on your whole wedding dress shopping experience.